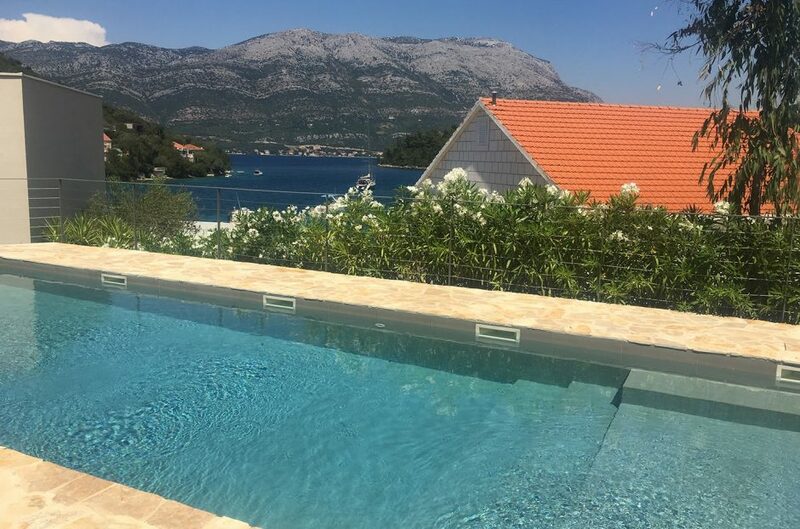 Korcula: A Guide To Croatia’s Most Tranquil Island | To Work Or PlayTo Work Or Play | A blog of two halves: Lifestyle guidance for city-savvy socialites, and insight, inspiration and opinion for ad-curious folk. 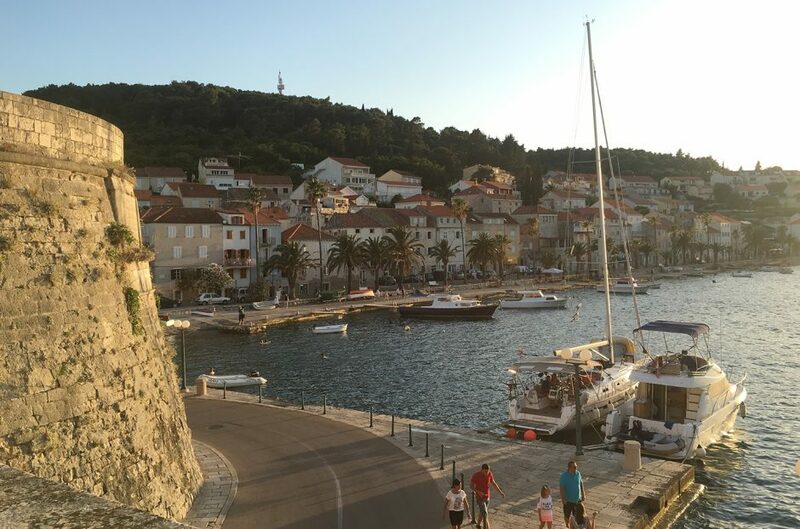 Follow us as we travel around the increasingly popular holiday destination of Croatia. 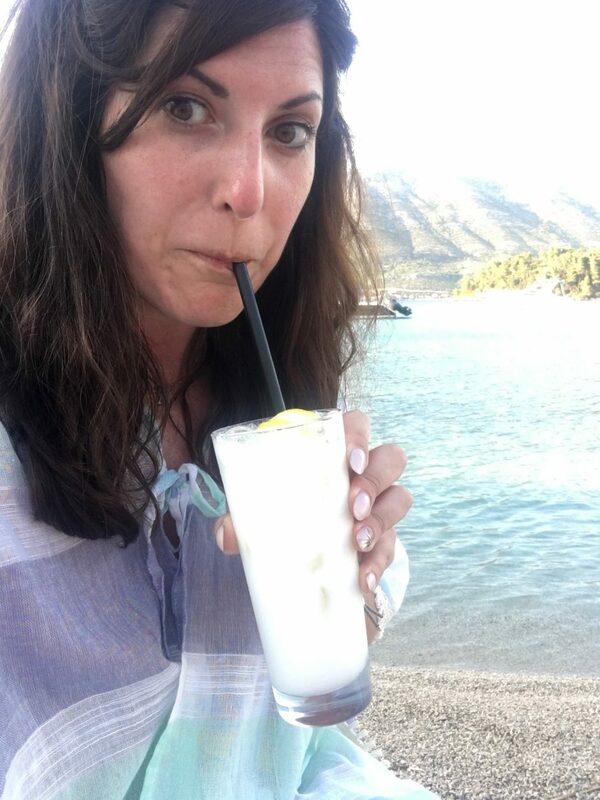 In this post Nat gives you her recommendations for the idyllic island of Korčula. 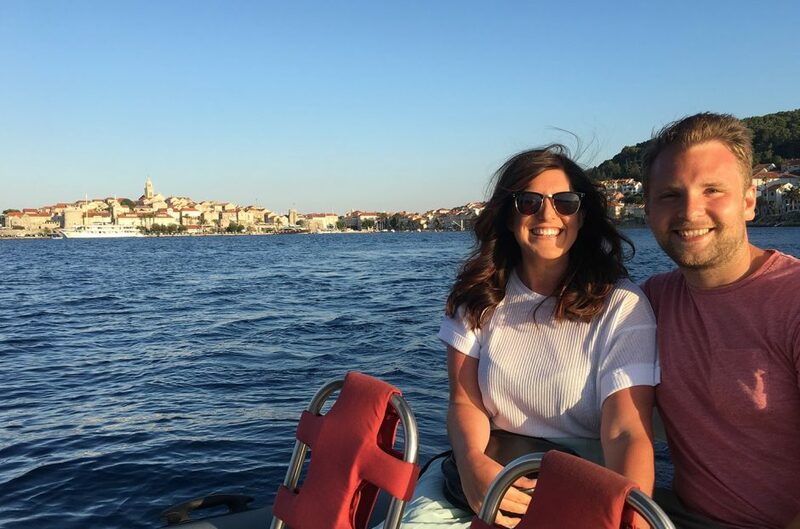 As holidays go I normally do all of the organising, but as Tom had bought me flight tickets to Croatia as part of my Christmas present, he insisted on taking the reins. Some considered organisation, cases packed and a plan in place we set off on our Croatian adventure. 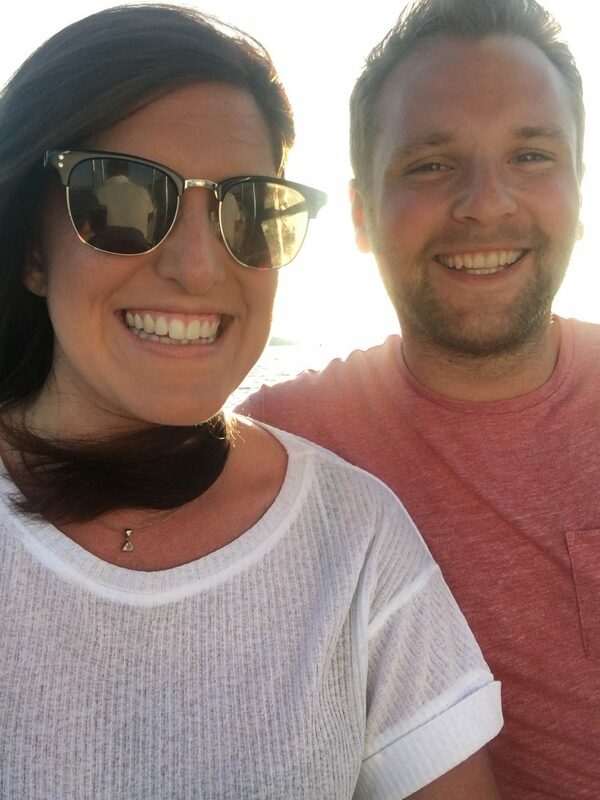 As you can tell from our Sri Lanka travels here we aren’t ones to stay in the same place, we like to explore, so given that we did a bit of island hopping on this holiday. 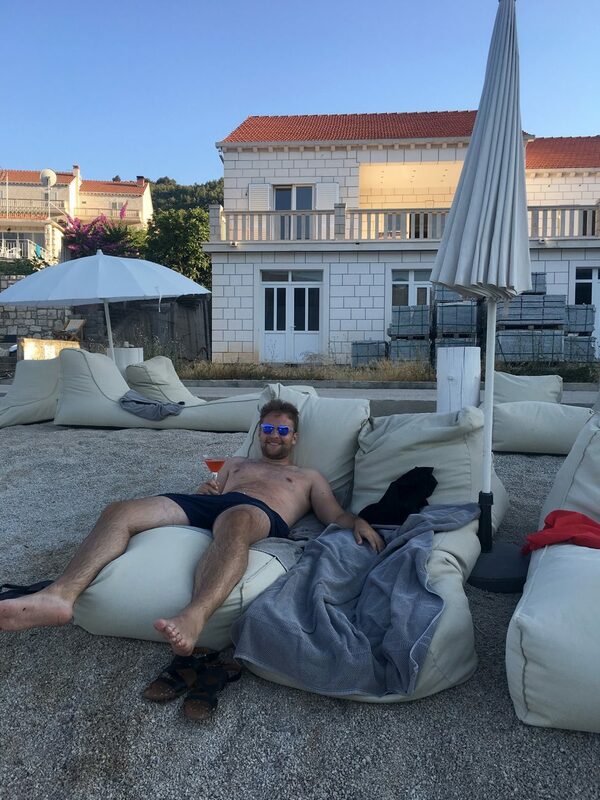 But instead of detailing the whole trip (as we have already covered parts of Croatia in past posts) I have broken down my favorite parts of the holiday into bite size chunks. 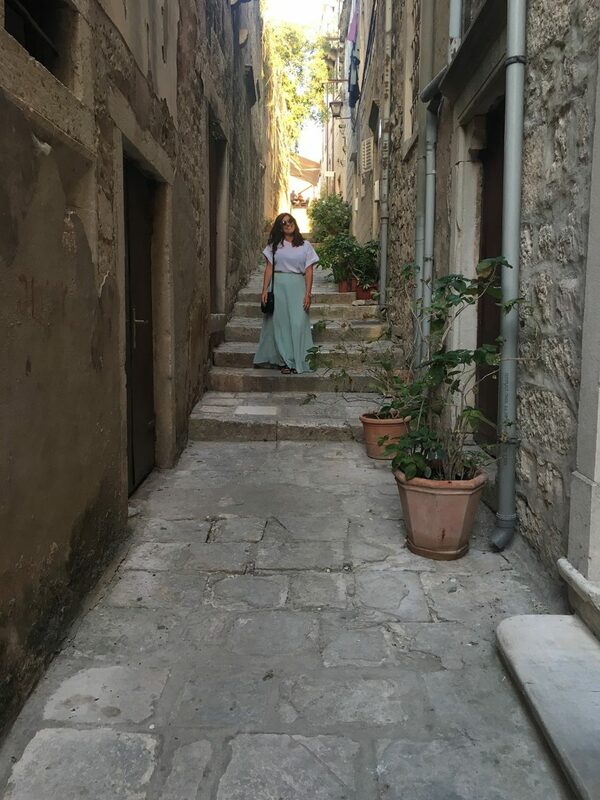 In this post I will give a guide to the beautiful island of Korčula. 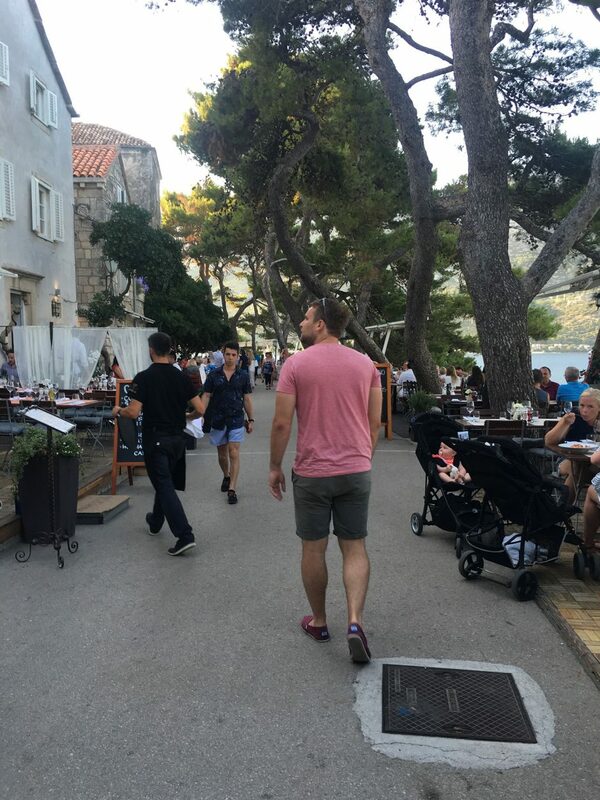 Korčula is a pretty little island in the Adriatic Sea sitting almost centrally between mainland airport towns Split and Dubrovnik. 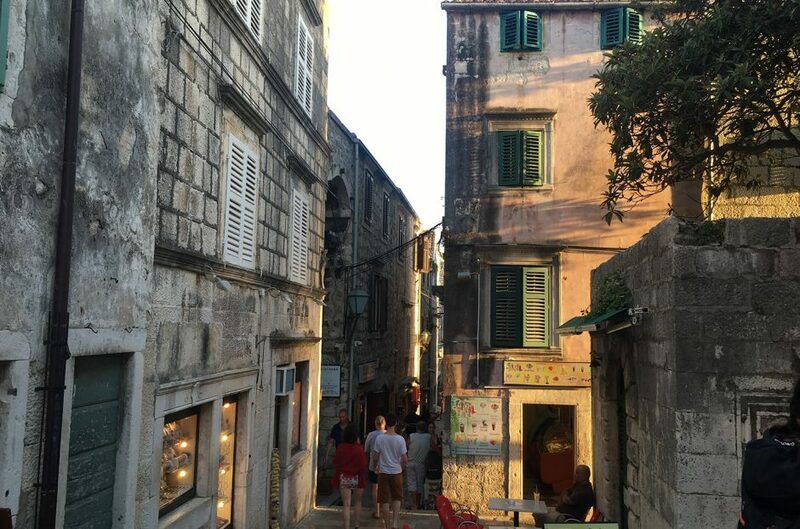 The town is quaint and has a buzzy atmosphere – small boutique shops line cobbled streets whilst quirky little houses line the edges of the island itself. 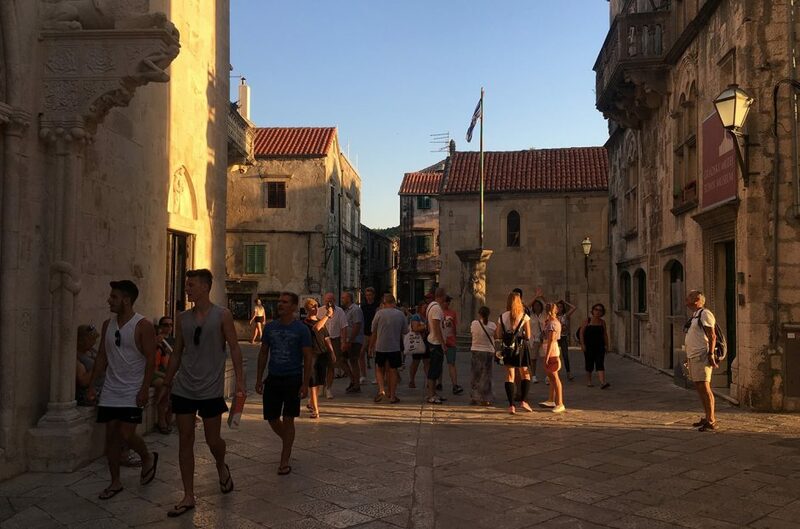 The island is most acclaimed for the medieval towers, historic walls fortifying the harbour and Cathedral of St Mark, which stands tall in central square. 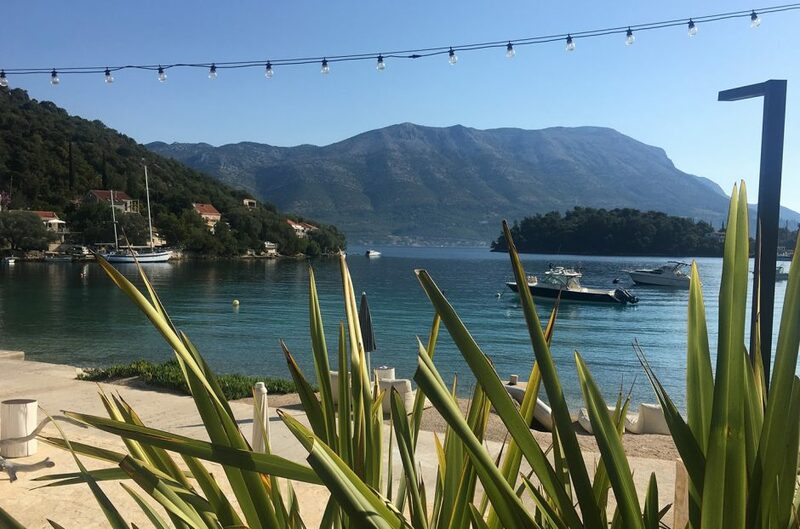 There are several beaches dotted around the coastline including Vela Przina, a wide crescent and Pupnatska Luka, a sheltered cove. 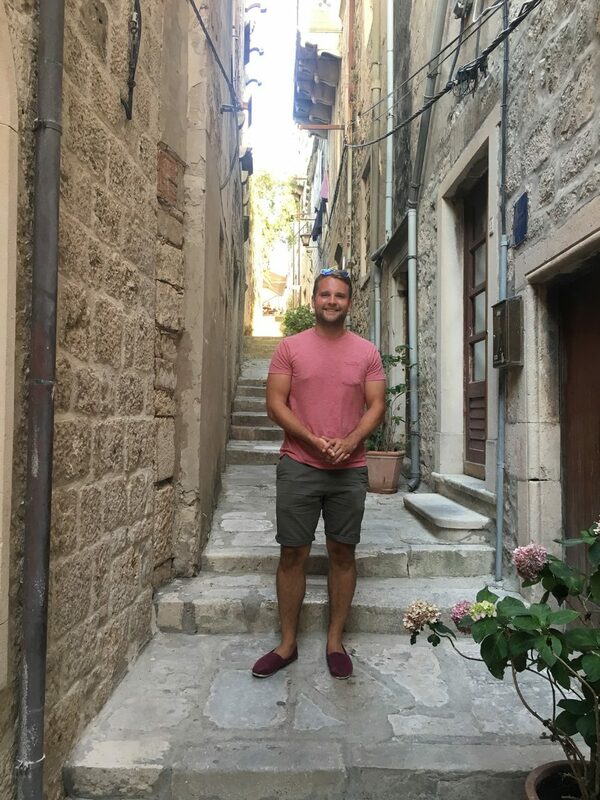 What I like most about Korčula is that it has somehow avoided the tourist trap, and, unlike other parts of Croatia, Korčula is calm, collected and arguably one of Dalmatia’s most relaxing getaways. 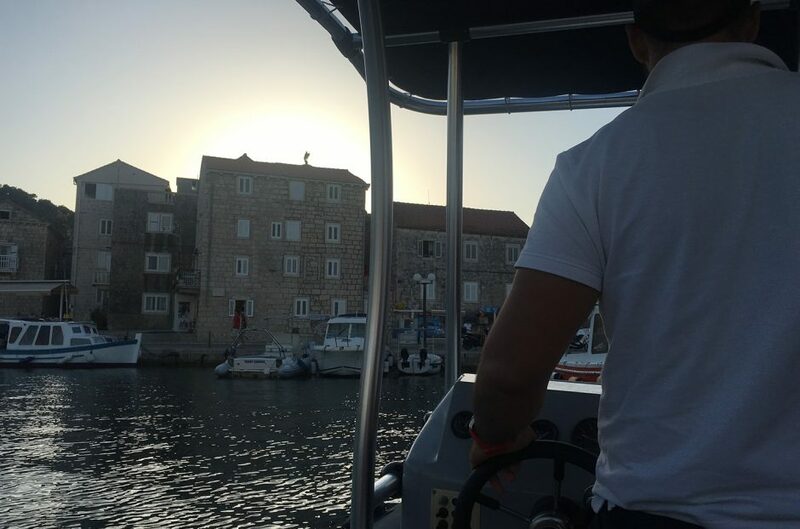 We travelled to the island from Dubrovnik on the Krilo ferry which took around 2 hours. From the approach it was clear that we would love this area! 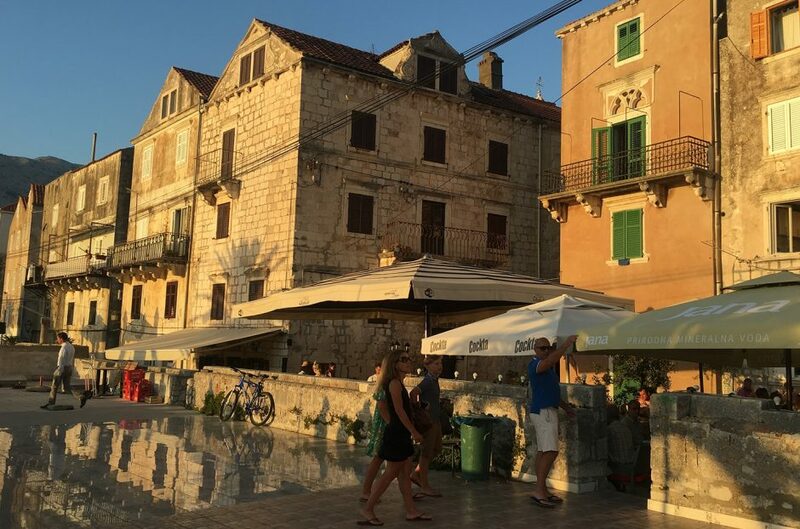 The main town itself reminds me of a less colourful adaptation of Cinque Terre crossed with the likes of Kefalonia, which makes sense as Croatia neighbours Italy and sits rather close to Greece. With a woolly coat of green lush land, dark pine forests, olive groves, vineyards (oh by the way, they make their own wine and it’s pretty bloody great!) and hillside-hugging villages it’s safe to say that this place is pretty stunning. 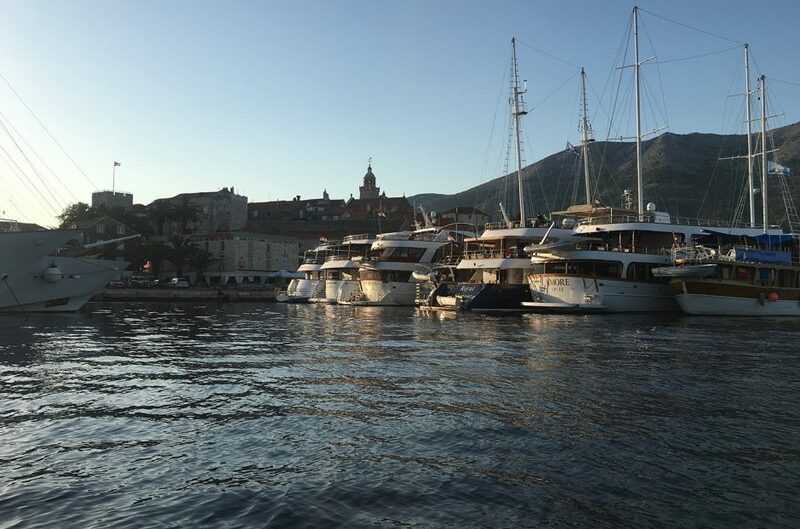 Although there’s a clear European vibe, Korčula could also be mistaken for Canada with mountain regions, tranquil waters and picturesque backdrops. It’s all rather dreamy. Our hotel arranged for transport to pick us up from the ferry. 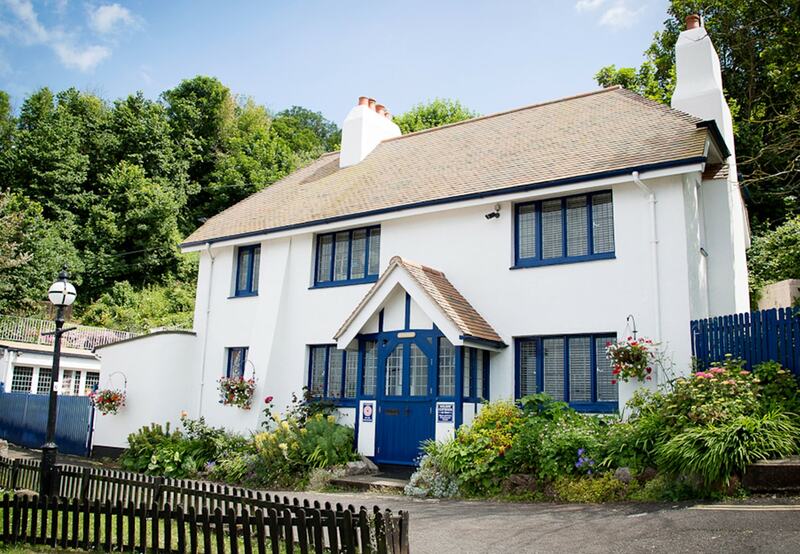 A quick 10 minute drive around to one of the island’s coves brought us to Tara’s Lodge. 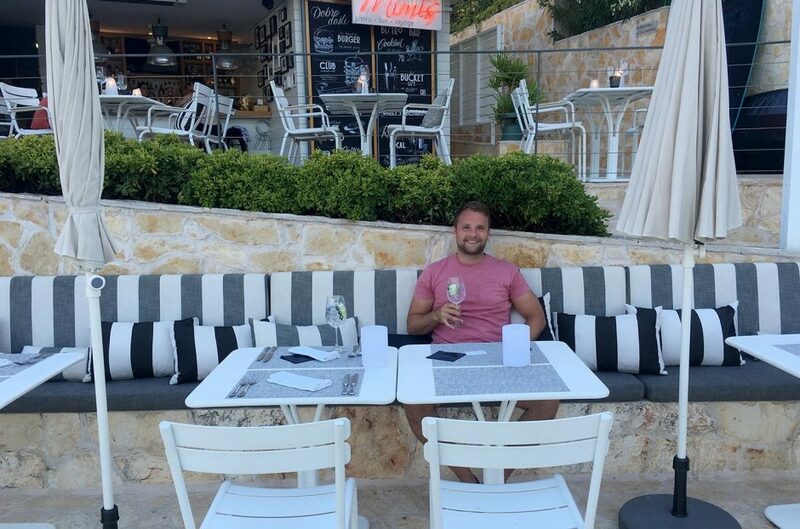 I remember looking at Tom and thinking he must be feeling pretty smug with his booking decision whilst we walked through the hotel grounds into Mimi’s Bar to enjoy a welcome drink in the beach front restaurant. 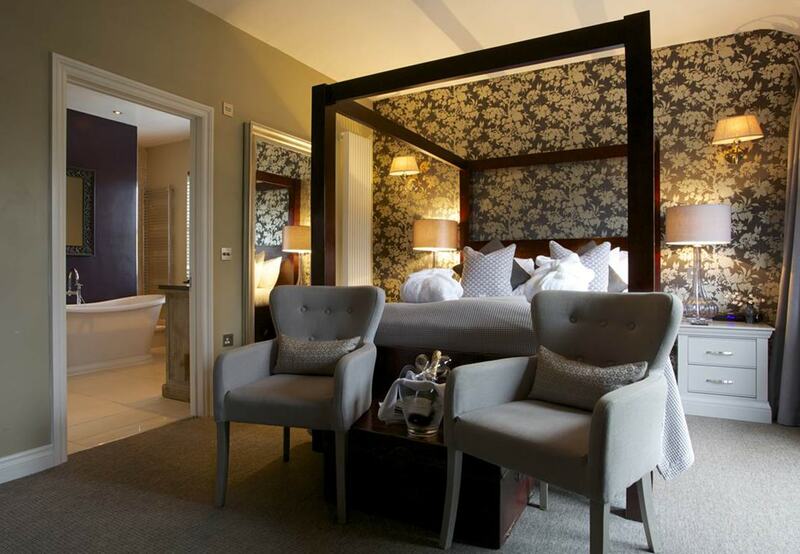 The boutique 17 roomed hotel opened its doors in 2014 and since then has gone from strength to strength. 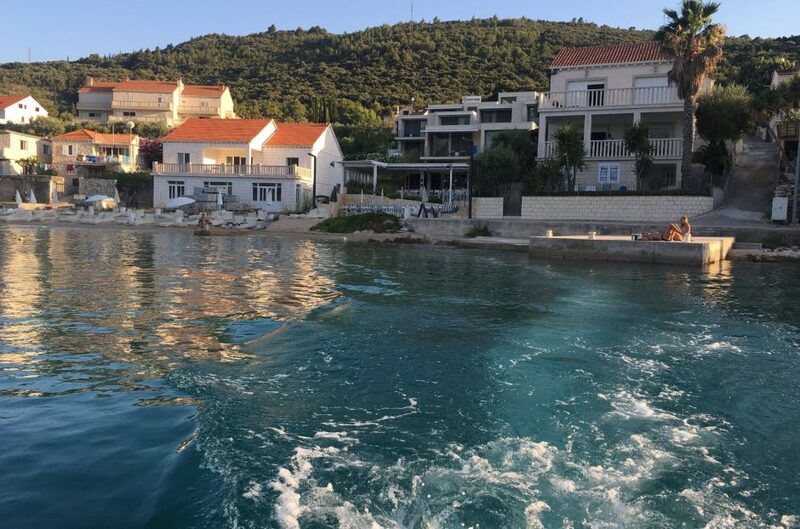 Tara’s Lodge has made The Times Coolest Hotels in Croatia list two years in a row and in 2016 was voted 2nd best hotel in Croatia. After checking in and with drink in hand, we were led up to our room. 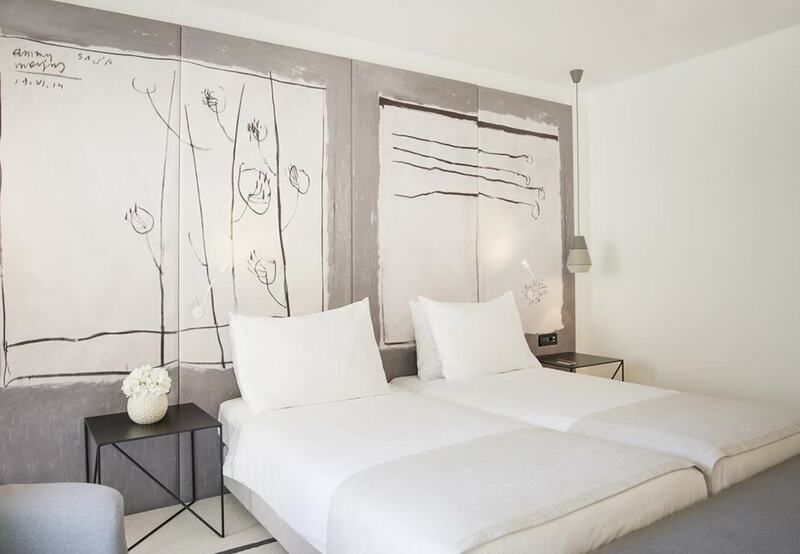 Everything about this hotel screams elegance, yet it’s also quite quirky with wonderful sprinklings of typography and modern furnishings that bring it to life. 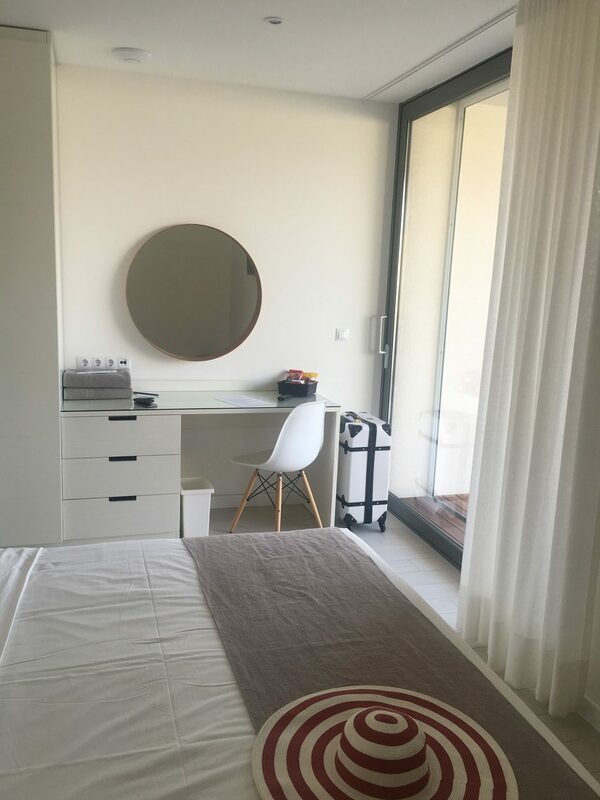 The rooms, are white, bright white and boast crisp and contemporary styling with simple furnishings and large balconies. 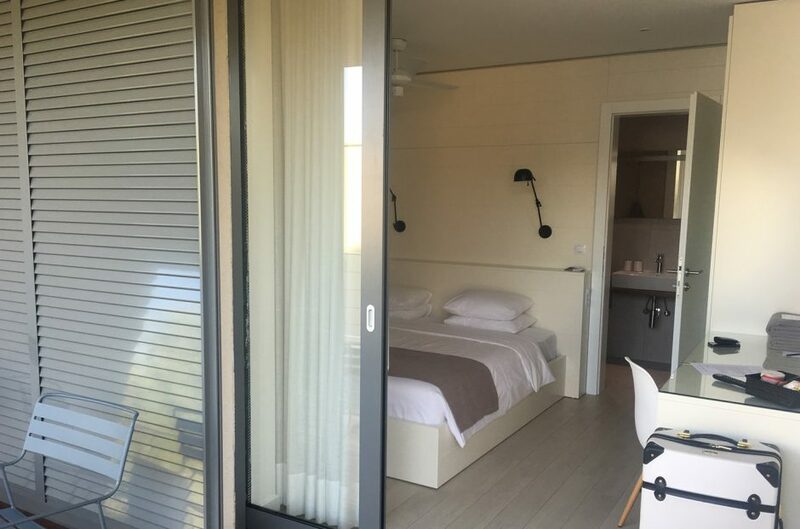 It oozes class with minimalist beach-hut-interiors from the room to the bar. 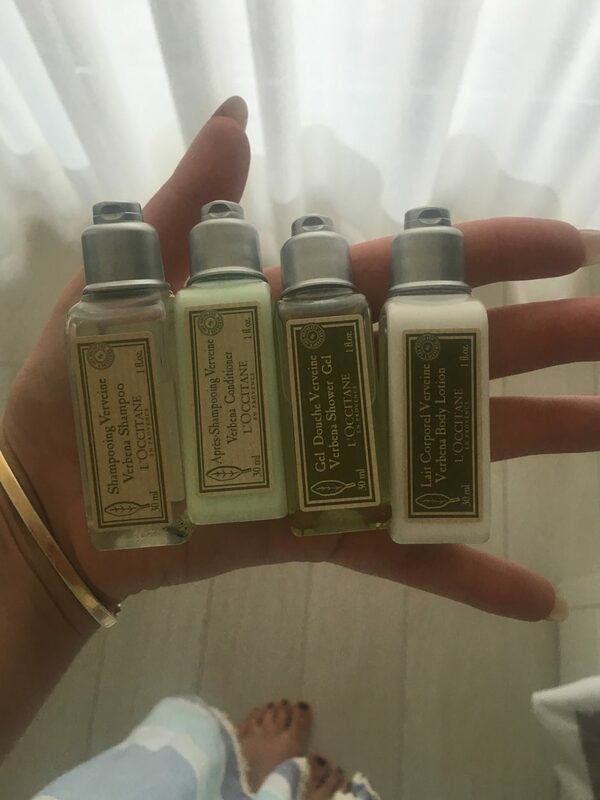 Every detail has been considered, with L’Occitane products in the bathroom, beach towels as well as shower towels and a fully equipped mini bar – there’s even a WhatsApp group for guests to text if they want room service or have any requests while staying in the hotel. We made full use of the hotel facilities in particular Mimi’s Bar, which is a delight. The bar and restaurant are clad with hand drawn calligraphy messaging on the walls, which really played to my design obsessions. 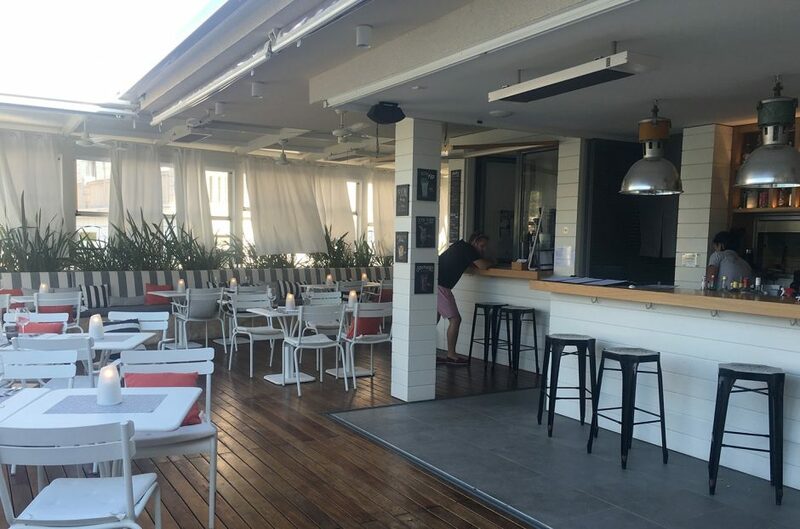 The nautical look and feel is perfectly fitting as it sits overlooking the beach front. The food is excellent, especially the homemade macaroni. 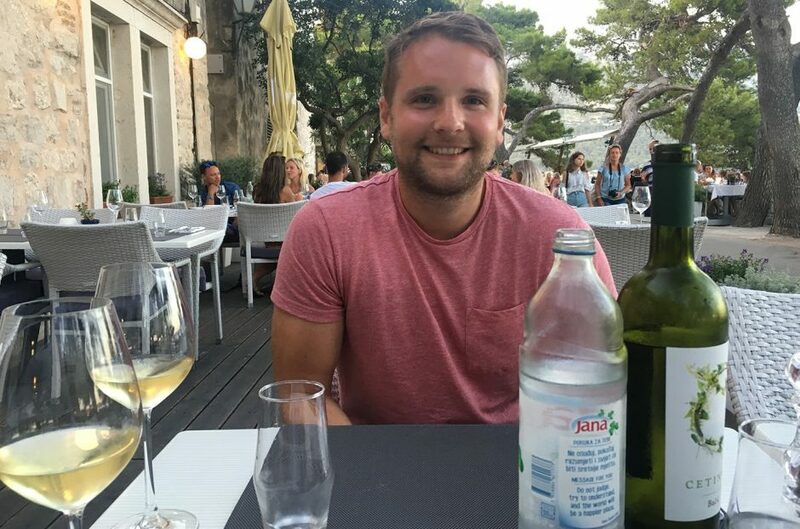 Tom particularly loved the burgers and I really enjoyed the veggie stuffed ciabatta… oh and the potato skins, I could eat them by the bucket load! 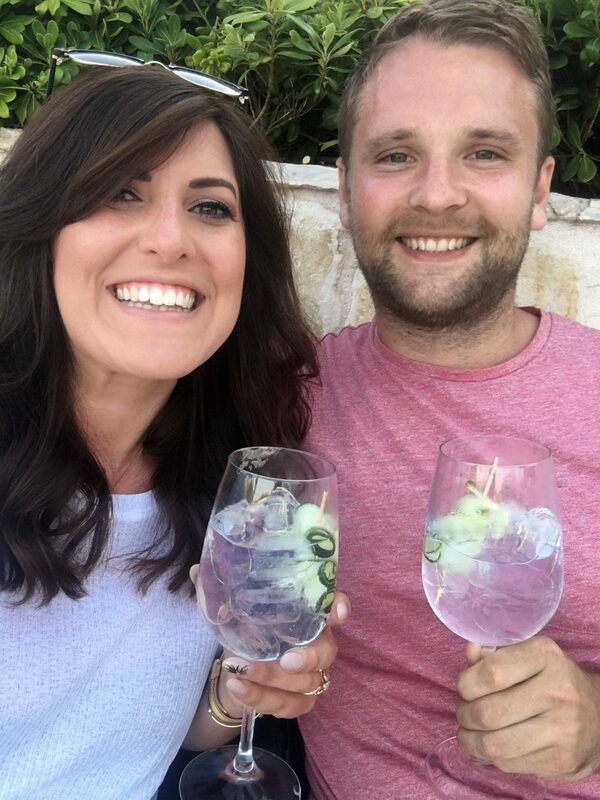 Cocktails are great and with an extensive list of spirits behind the bar there’s sure to be a tipple to tickle your fancy, although I would recommend one of the huge G&T’s which are perfect for sipping on the beach while the sun goes down. Just like the hotel, Mimi’s bar is classy with all details considered – I took a particular shine to the Neoz lights, but a quick Google later and it was clear I couldn’t afford them. As far as facilities go they have pretty much everything! 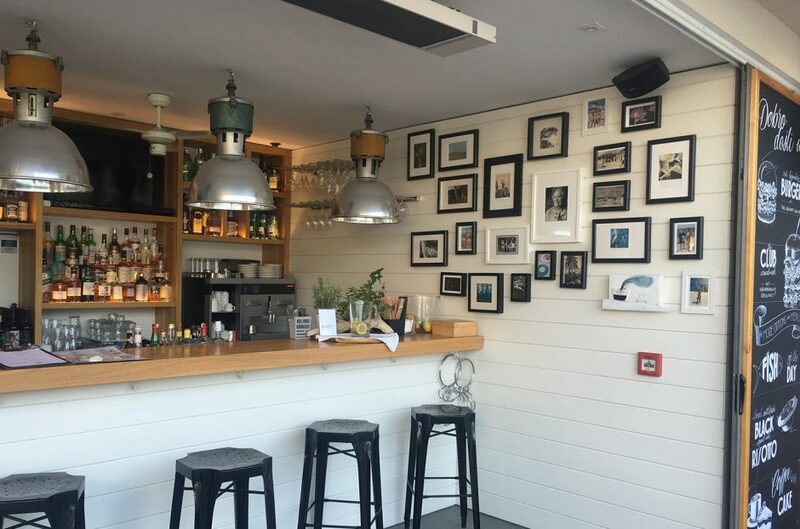 The private beach is a stone throw away from Mimi’s Bar (literally) and has comfy bean-bag beds to settle into. Although the beach is pebbly (most are in Croatia!) it makes for super clear water, which is soothing when sitting out in 35 degree heat. If you are into watersports then there’s a variety of activities on offer which include paddle boarding, snorkeling, kayaking, windsurfing and kiteboarding. 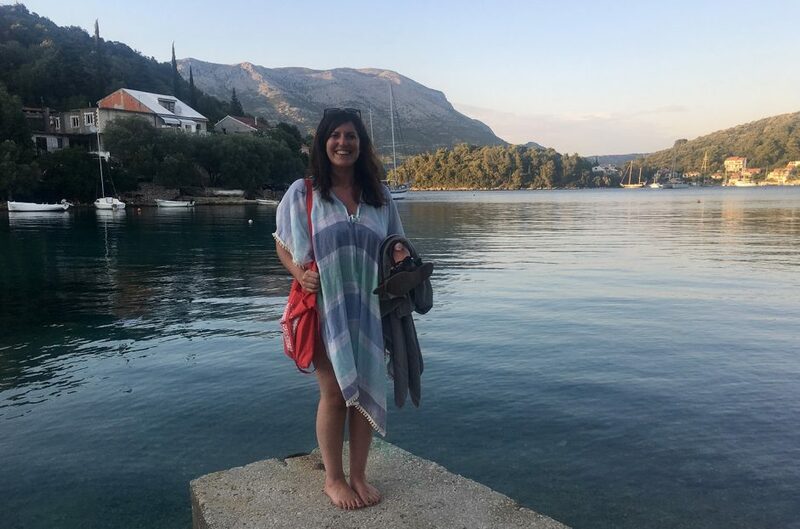 Additionally there are organised octopus hunts (I DID NOT take part in this, as a hater of fish / water creatures), wine tours, bicycle hire and fishing trips to enjoy. 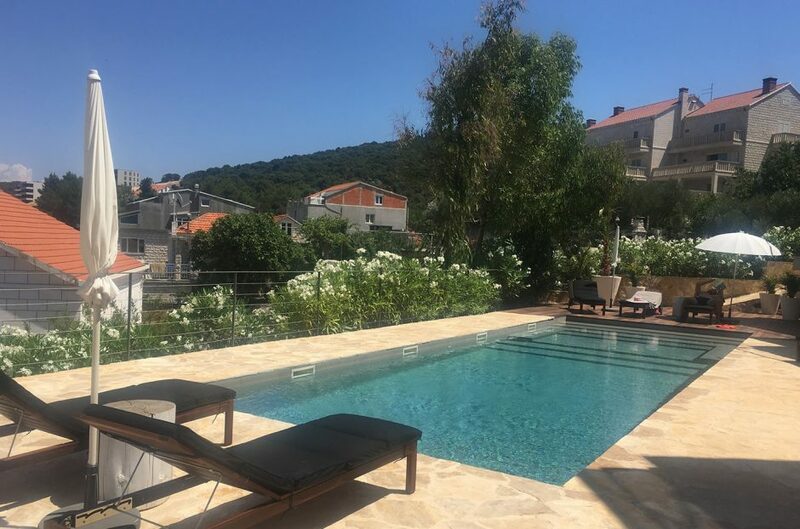 If none of this floats your boat (no pun intended), then you can relax around the large swimming pool, which sits between the apartment blocks. If you want to venture to the main town I would highly recommend getting a boat taxi, which can be arranged through the hotel staff. For around £8 – £10 the experience is super enjoyable and allows you to see the island from the sea on your own little tour. We loved this so much we did it twice! Tara’s Lodge is a little slice of tranquil heaven. There’s a calm atmosphere amongst the staff which is warm and welcoming. 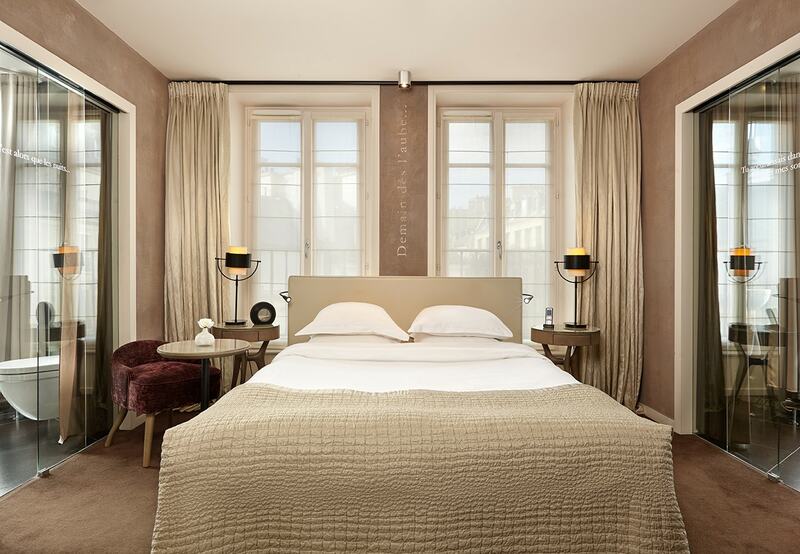 The pristine interiors instill a sense of serenity from the moment you step onsite to the minute you leave. 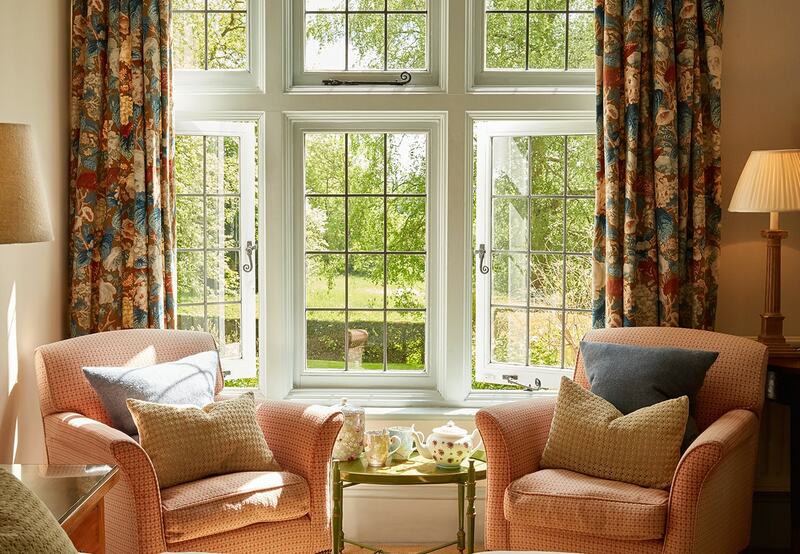 Set in a stunning location you can really find a sense of peace in and around the grounds. My only qualm is that Mimi’s shuts at 11pm and once it’s shut there’s nothing else to do – unless you want to go venture to Boogie Jungle Nightclub, which is a short taxi ride from the hotel. 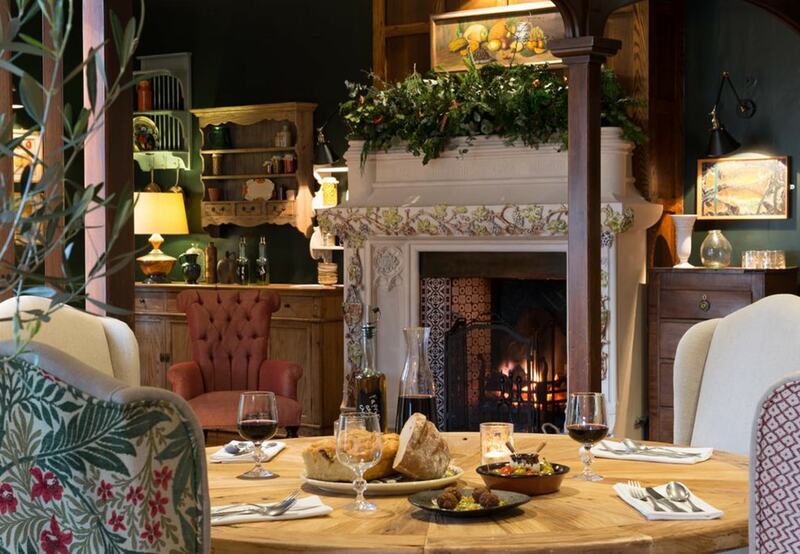 On the whole a wonderfully tasteful hotel that has cleverly managed to appeal to a broad range of holiday goers – we loved it so much we will be taking the troops to visit next year! 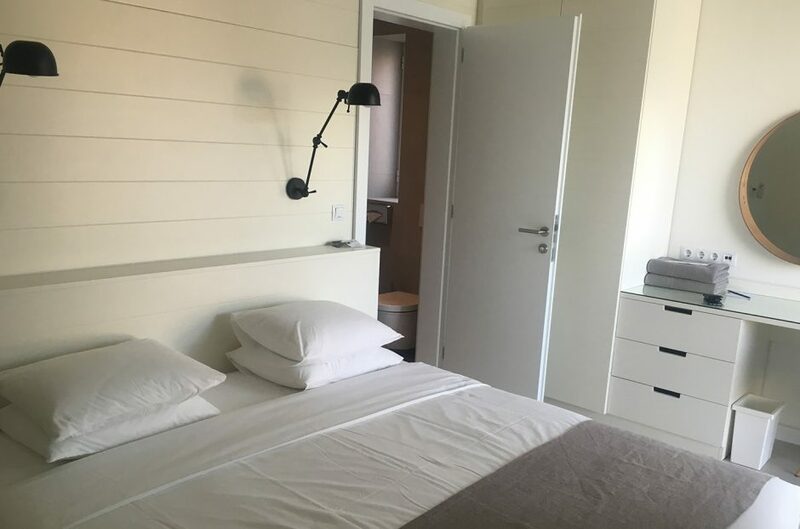 It’s worth mentioning that on paper (#loveisland plug) this wasn’t the hotel that I was most excited about, nor was it the most expensive, but in reality it was probably my favourite. 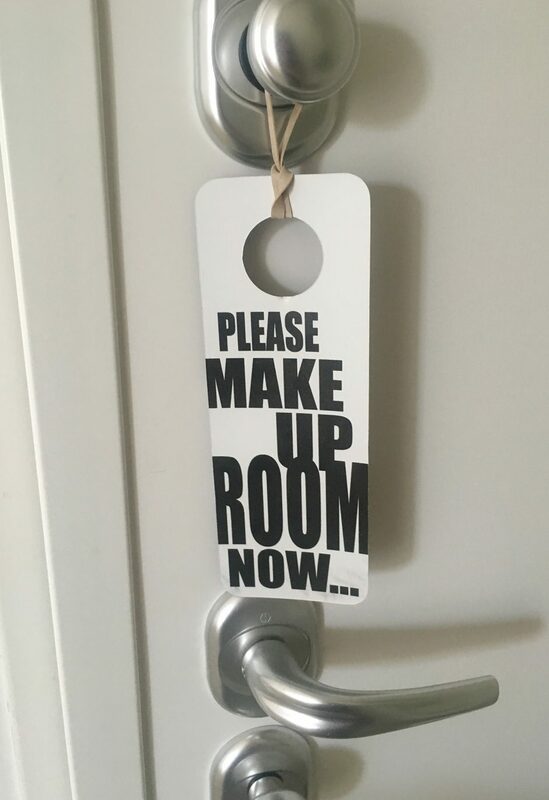 A welcome surprise that has a bit of everything you need. It’s a great cocktail with all the right ingredients to make for a brilliant stay. We can’t wait to go back! 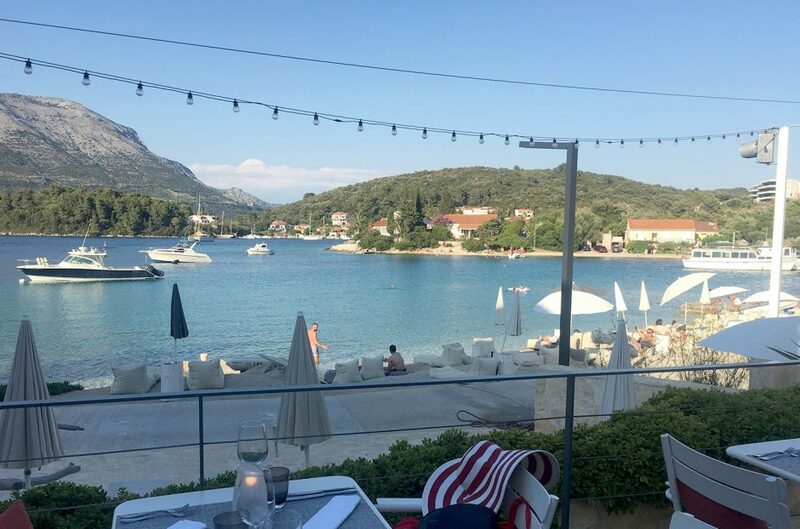 We did venture into Korčula town one night and on a recommendation from hotel staff we ate at Filippi, a stunning local restaurant which sits next to the coastline walls near the main harbour. 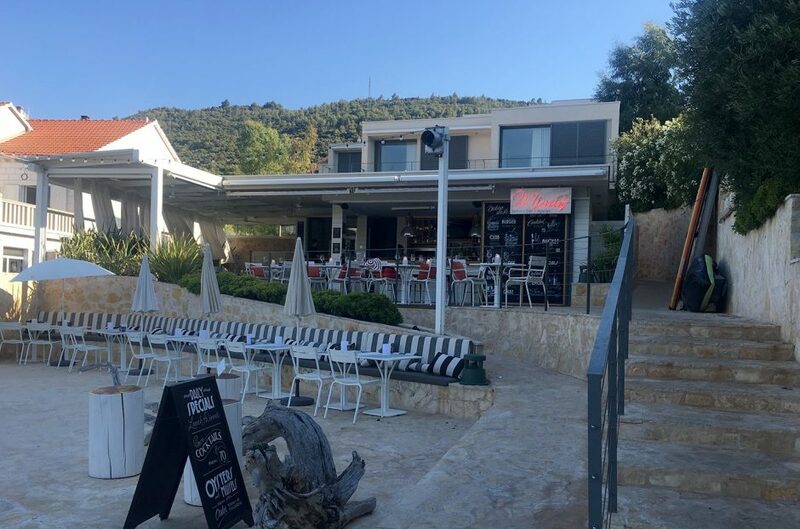 The restaurant offers modern Dalmatian cuisine based on local artisan pasta and fresh herbs, fresh fish and succulent meat. The menu is contemporary, and there was plenty of choice (even for me). The wine list is extensive and it was great to find a regional selection from small Croatian producers available. 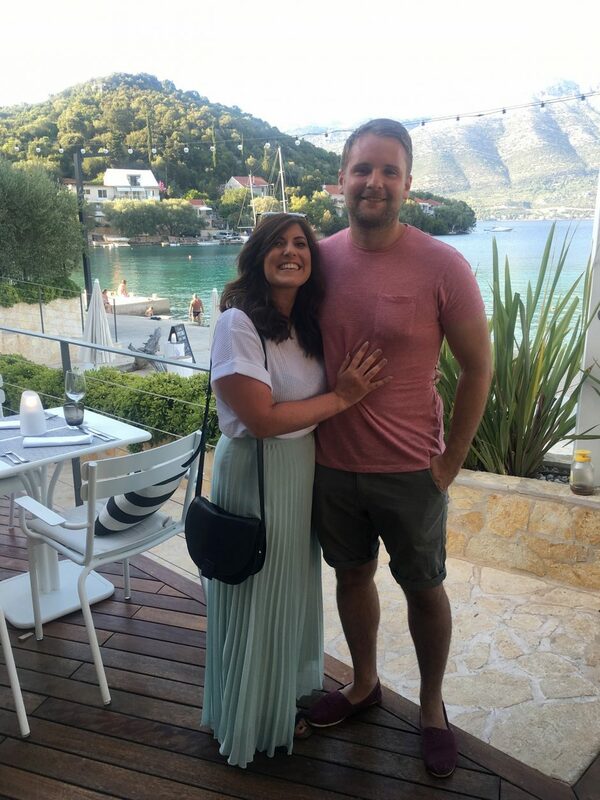 Although we didn’t have time to do a wine tasting tour while in Korčula, if these wines are anything to go by we will be doing one next time! Whilst we were waiting for our first course we were offered bread with homemade tapenade and hummus, obviously we tucked into this like we had never eaten (so delicious), so much so they topped us up! 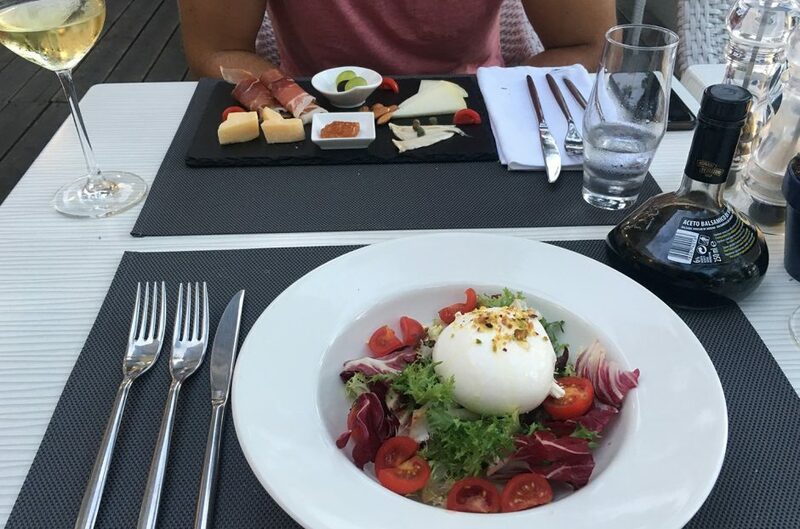 I started with Burrata and tomato salad while Tom made an unusual choice and started with a charcuterie platter, both were really yummy. 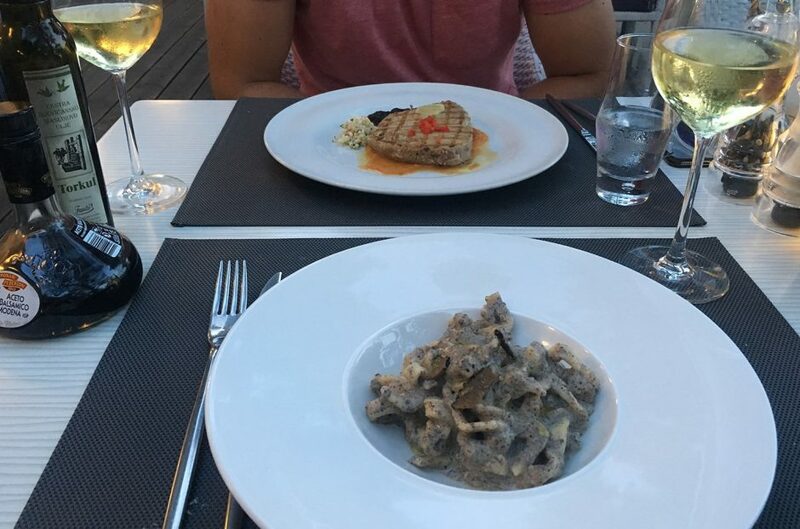 My main was truffled pasta and Tom had tuna steak – both super delicious and very fresh. We even managed to fit in dessert, which was something chocolate-y which I can’t quite remember, but I do remember that it was again, super tasty. 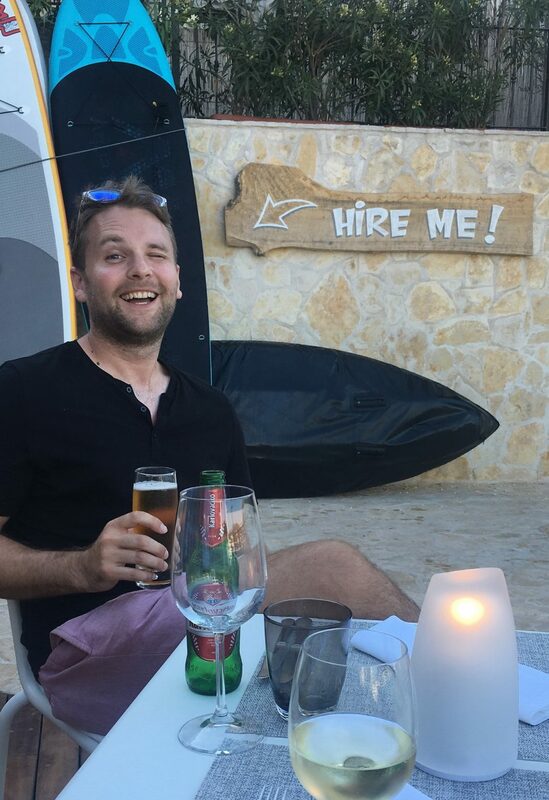 Our waiter was amazing, not just his speedy service and attentive nature, but he was actually engaging in conversation and genuinely interested to hear where we came from and how our trip had been. Bubbly and charismatic it made the meal even more enjoyable. 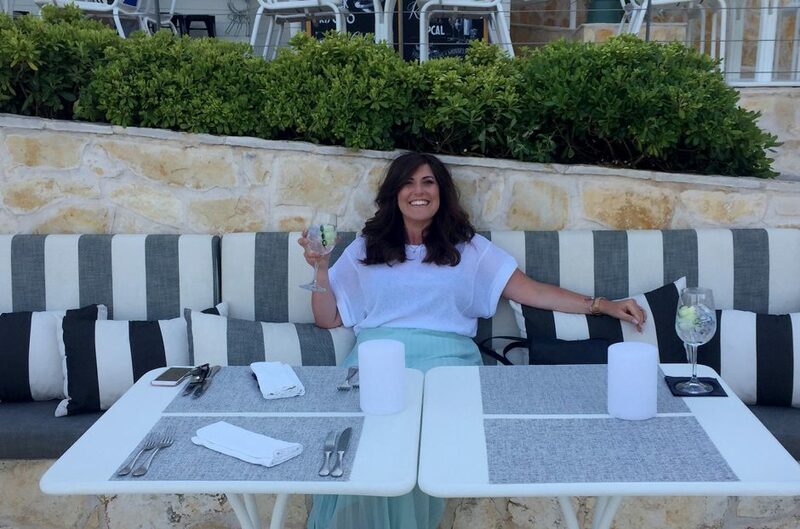 I would recommend booking in advance and requesting a seat next to the wall which is perfect for watching the sunset and taking in the sea air. We were at the other side of the path, but regardless it was still very enjoyable. 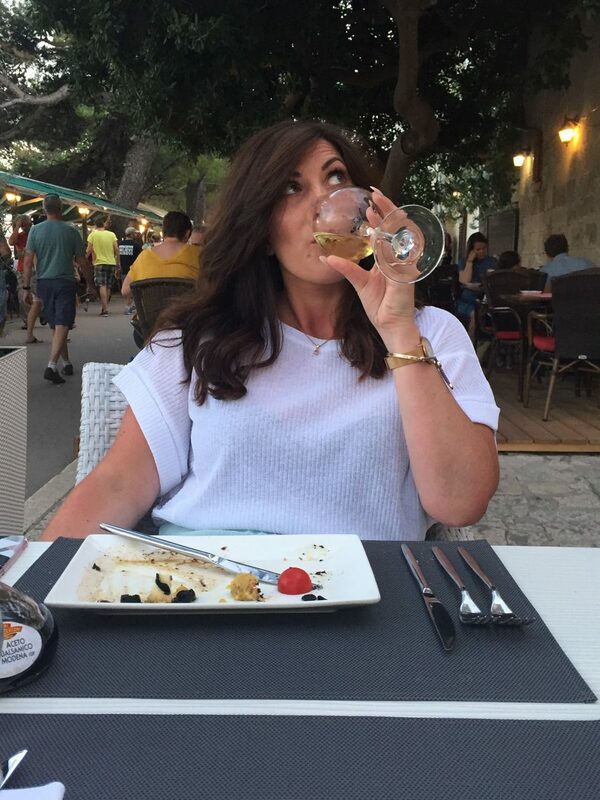 This restaurant is currently rated #3 in Korčula on Tripadvisor, but it should probably be no #1! 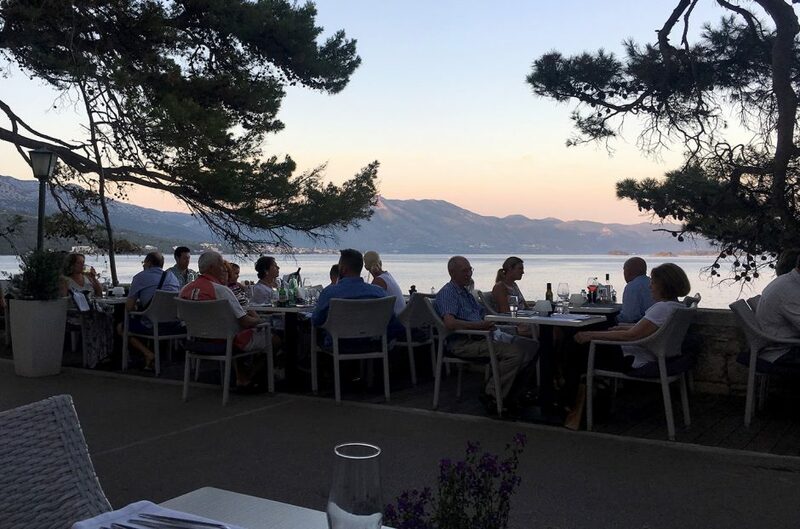 Although on the slightly more expensive side I would still highly recommended it, one of the best meals we had while travelling around Croatia and we will be back for more delicious delights next year.